Sylvestrian Leisure Centre boasts two fantastic swimming pools at the heart of Forest School. Our main pool is a 25m competition pool with a depth of 2.2 metres, perfect for swim clubs and swim schools. Our teaching pool is 10m long with a depth of 0.8m. This is the best environment for young children to take the plunge for the first time. The main swimming pool has restrictions imposed by the local planning authority limiting the use to staff, students and youth organisations. We do not operate public swim sessions. 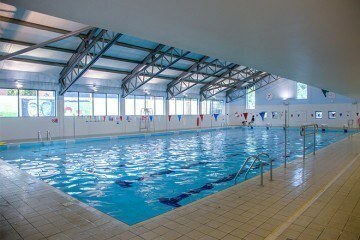 Sylvestrian Leisure Centre runs its own swim school, running throughout the week. Please click here to find out more! Private swimming lessons for children are available on request. Our top of the range fitness suite comprises of 19 cardio machines, 11 resistance machines, 1 Powerplate, stretching area and free weights. We have recently upgraded and installed top of the range Matrix kit. With this upgrade you can track all of your workouts, set targets and much, much more with the Matrix App. Upon joining, one of our experienced Fitness Instructors will show you around the gym and induct you fully on all of our new equipment. View the Fitness Suite Gallery here. It is marked out for football, volleyball, tennis, short tennis, badminton, netball, hockey, basketball, wheelchair basketball and cricket. Equipment is available for trampolining, rounders, quick cricket and much more for hire. The Sports Hall is ideal for all sporting activities, whether recreational or competitive. 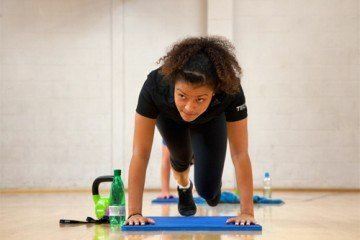 If you are a club wishing to hire the Sports Hall on a regular basis then why not take advantage of our club contract which gives you excellent discount if you book more than 10 sessions at a time. Please call Reception on 020 8509 6526 to find out more. Our multi-purpose gymnasium can be used for various sporting activities and a number of different fitness classes. With Sprung-mounted flooring, acoustically sound, light and airy, it’s the perfect room for teaching, coaching and noisy children during our Extreme Children’s birthday parties! Two-bay, purpose built indoor cricket suite has had legends such as James Foster and Stuart Turner grace the facility. Bowling machine available upon request (terms & conditions apply) as well as Dartfish biomechanic video anaylsis.